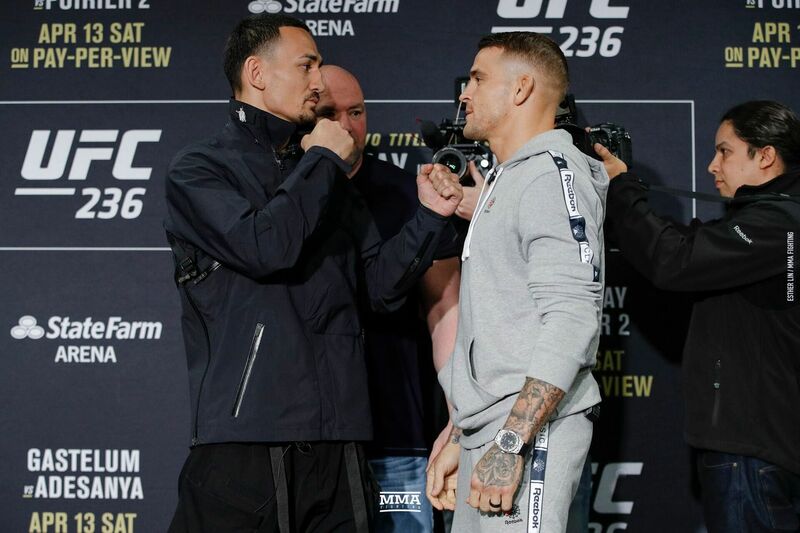 Watch the media day staredowns for UFC 236: Holloway vs. Poirier 2. The UFC 236 media day took place on Thursday down in Atlanta, Georgia, as this Saturday’s main card fighters participated in the traditional faceoffs. From light heavyweights Ovince Saint Preux and Nikita Krylov, to the interim lightweight title bout between Max Holloway and Dustin Poirier, you can watch all 13 staredowns in the video below (courtesy of MMA Fighting).